Coming Together to Move for FREE Family Dance! 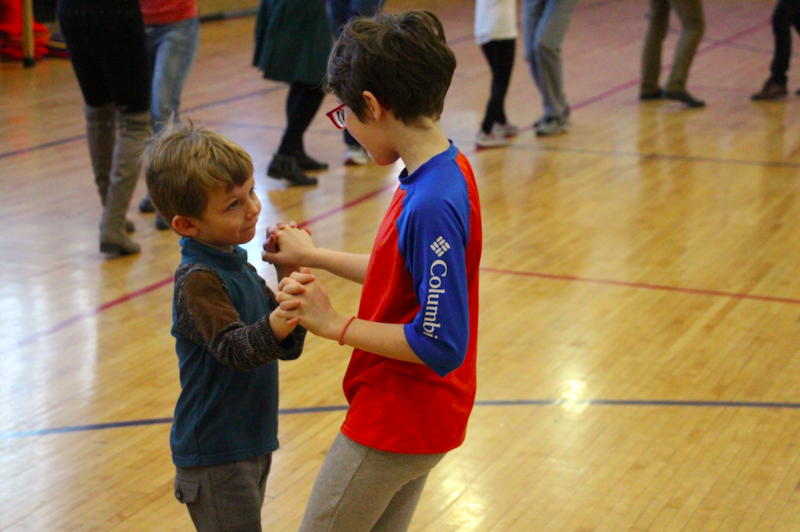 Dancewave continued our Moving Together: Free Family Dance Series with a Cuban Salsa class taught by the amazing Rebecca Bliss at MS 447 in Downtown Brooklyn. Moving Together allows you to step into another culture and gain a better understanding of diverse experiences.Rebecca transported everyone in the room with Cuban Salsa. 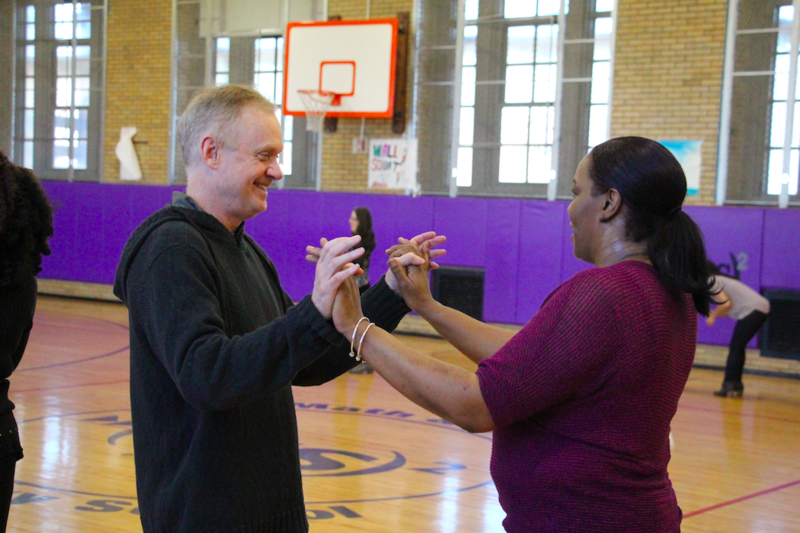 The Cuban Salsa class on Sunday was a tremendous learning experience; from practicing the basic steps and rhythms to learning un poquito de spanish. Participants learned El Casino De Rueda with everyone dancing in a large circle and constantly switching partners. 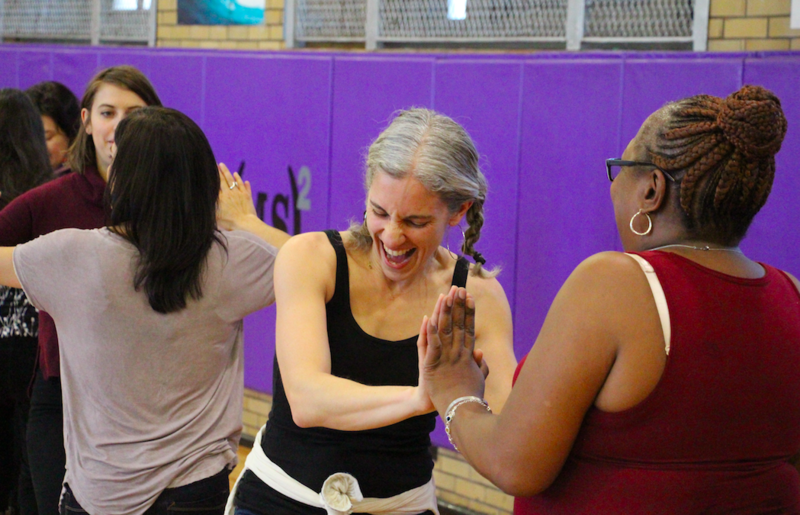 El Casino De Rueda enabled participants to meet new people by rotating through multiple dance partners by the end of class. At first, all were a little hesitant and reserved but eventually the energy in the room shifted as everyone helped each other. It was nice to witness strangers dancing together and lending a hand or foot. Even the beginning dancers certainly walked out confident in the basic rhythms of Cuban Salsa! By the end of class you could see everyone’s newfound joy in their movement. 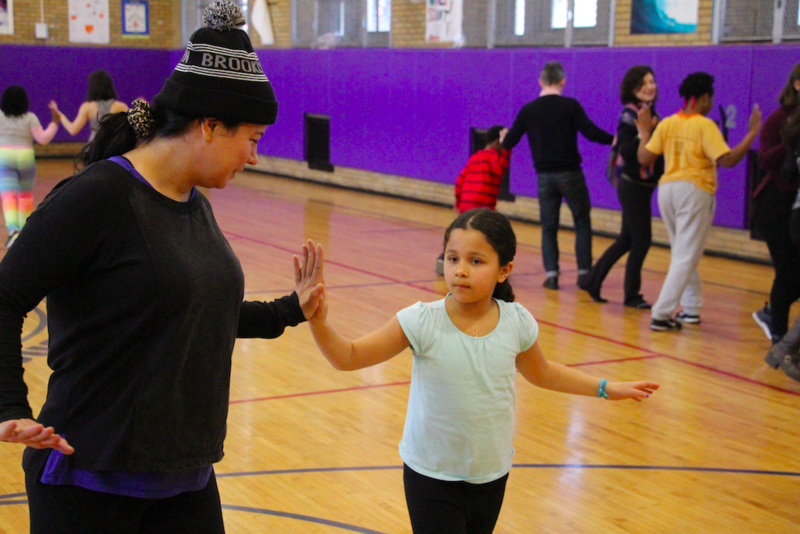 If you couldn’t make our second free family class, Cuban Salsa, make sure you don’t miss our FINAL Moving Together: Free Family Dance Series with Hip Hop taught by Rolanda Ledain on April 2nd from 1pm to 2pm at MS 447 (345 Dean St) 4th Floor gym.